A majority of voters say Attorney General Jeff Sessions should resign, according to a new poll. 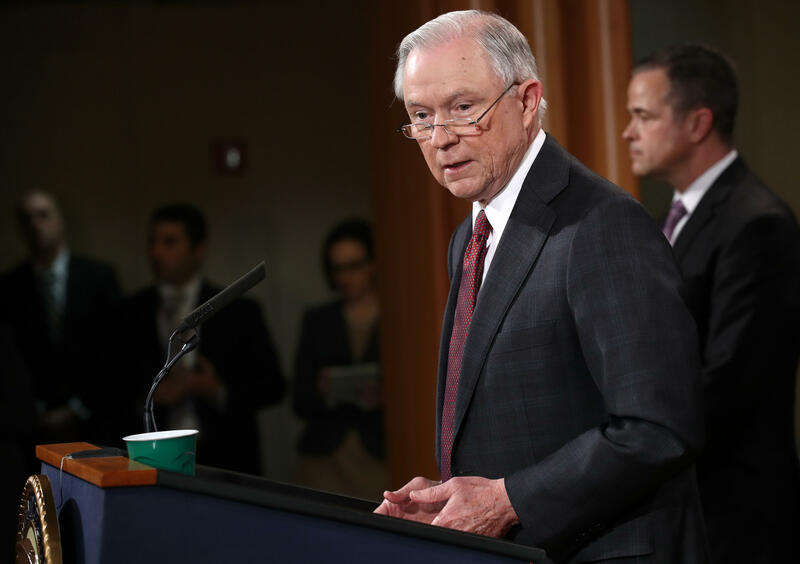 The poll, conducted by Quinnipiac University, indicated that 51 percent of voters think Sessions should step down, versus 42 percent who say he should stay on. The survey came on the heels of news that Sessions did not disclose a fall meeting with the Russian ambassador during his confirmation hearings. Democrats, most notably Sen. Al Franken, have accused Sessions of perjury. Franken had asked Sessions at his confirmation hearing about communications between Russia and the Trump campaign, to which Sessions replied that he had not had contact with the Russians. Sessions’ defenders say his answer was accurate because he did not talk with the Russian ambassador as a campaign surrogate for Mr. Trump, but rather in his capacity as a member of the Senate Armed Services Committee. According to the poll, however, 52 percent of voters believe Sessions committed perjury, versus 40 percent who believe he did not. The survey also indicates that Americans are broadly in favor of an “independent commission” to investigate links between Mr. Trump’s campaign and Russian officials. Sixty-six percent say such a commission is warranted, versus 30 percent who say it is not. Moreover, 61 percent of respondents said they were either very or somewhat concerned about Mr. Trump’s relationship with Moscow. The poll of 1,123 American voters took place from March 2nd to March 6th, and has a margin-of-error of +/- 2.7 percent.